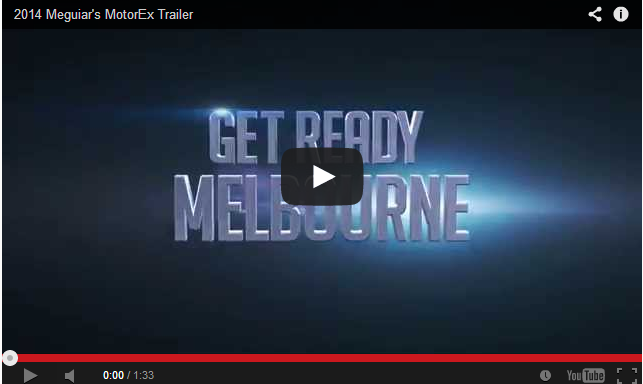 Look out Melbourne, the highly-anticipated, final countdown has begun. Meguiar’s MotorEx 2014 is headed your way! Ground zero will be Melbourne Showgrounds (opposite Flemington Racecourse), July 19-20. Strap yourselves in and purge any pre-conceived notions of what you think a legendary car show is all about, as nothing comes remotely close to the amazing visual spectacle of colour, chrome and shear awe of Meguiar’s MotorEx. It will overshadow even your wildest expectations – it truly is, The Greatest Rides on Show! Being Meguiar’s MotorEx’s debut in the unofficial cultural capital of Australia and heartland of Australian Motorsport (aka Melbourne), the question of whether Sydney or Melbourne can lay claim to being the preeminent host of Australia’s biggest and most prestigious indoor enthusiast event, will soon be emphatically answered. With a projected 400-plus spectacular and unsurpassed vehicles, packing out three of Melbourne Showground’s cavernous pavilions – the battle for Meguiar’s MotorEx supremacy is guaranteed to be a fearsome contest that’s not to be missed. To be part of this historic and unprecedented event, check out all the show features, grab an entry form, or purchase an E-Ticket by logging onto www.motorex.com.au. And don’t forget to follow us on Facebook for essential show updates and breaking announcements.